Business Improvement Districts (BID) exist throughout the country, in large cities and small, and each one has a unique scope of work. What all BIDs have in common, however, is their underlying purpose to improve conditions for businesses in a specific area; attract and retain businesses; and improve the overall experience for those who use the district. A BID enables stakeholders to decide which services to provide to meet the district's unique needs. To that end, the Durango Business Improvement District was formed in 1997 with a mission that has evolved from the original narrow focus of studying the feasibility of a possible Conference Center, to a broad brush of sustainability within the District through marketing programs, special event support and management, and capital projects that helps support businesses in the District. The District’s boundaries are the Central Business District and North Main Avenue to the city limits. The Durango BID is funded by a 2 mill levy, an additional property tax constituents in the district have assessed on themselves, through 2025. Support funding for specific projects has also been provided by the City of Durango, the Durango Area Tourism Office, and the Durango Chamber of Commerce. BID has a physical office located at 850 1/2 Main Ave., Suite 2. It has assisted in acquisition of a steadily-expanding reserve of event equipment and supplies to facilitate special events in the District. BID produces four seasonal marketing programs that collectively support activities in and around Downtown - Spectacular Spring, Sunsational Summer, Fabulous Fall and Wondrous Winter. BID has also added four shop local campaigns to its annual marketing work. BID works with the City on the flower barrels in Downtown each summer, and operates a gum removal machine to keep the sidewalks free of unsightly gum. BID also partners with the City, DATO, and Chamber on the Downtown Ambassador program. BID also manages a handful of events, and provides guidance, planning assistance and marketing for other events. Please consider signing up for BID's weekly E-Newsletter that is published every Wednesday. You will receive accurate and timely information from us once a week. BID also hosts a monthly meeting for Downtown and Uptown business owners and anyone interested in activities in the District. BID's Coffee and Conversation meeting is held every month on the second Friday from 8:30 to 9:30 am at First National Bank of Durango. Everyone is invited! The BID board of directors meet on the second Wednesday of each month from 12pm - 2pm at BID's office, 850 1/2 Main Ave. Suite 2. Anyone is welcome to attend. For an agenda, please email us. 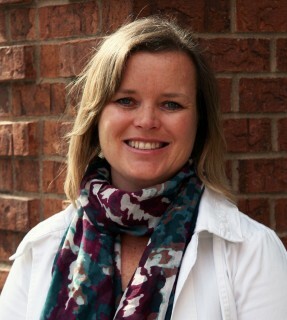 Ericka Curlee is co-owner of two local businesses, Louisa’s Electronics and Louisa’s Movie House. Together with her husband and business partner, Don Bendell, they opened Louisa’s Movie House in 1999 as “a video store that also sold DVD players.” As the technology offerings grew and evolved, the business needed to pivot. In 2014, Louisa’s Electronics was rebranded to identify its primary offerings of TV/audio systems, security and home automation as separate from the video store. In 2016, Ericka worked as the project manager for their development of the mixed-use building on the corner of 22nd Street and North Main Avenue, which became the new retail location for Louisa’s Electronics. The video store was relocated to Town Plaza in the central business district in the same year, where it continues to thrive even amidst streaming alternatives. Sebastian is a proud husband to Brooke Hartley, a Registered Nurse at Mercy Centura Hospital, and a proud father of two children Gage, 3 and Alida, 1. Sebastian was an owner of the Prudential Triple S Realty franchise that ultimately became the Keller Williams Realty (KW) franchise now residing at 700 Main in downtown Durango. Sebastian was instrumental in helping bring KW, the world's largest real estate company, to Durango in 2011. A native of Bar Harbor, Maine, Sebastian came to Durango in 1990 to attend Fort Lewis College and now considers himself a Durangoan. Graduating in 1995 with honors degrees in Communications and Environmental Policy, Sebastian went on to help launch Steamworks Brewery and then open Durango's rock climbing gym Animas City Rock (now The Rock Lounge) prior to landing in real estate with Prudential in 1999. Sebastian is very active in real estate sales and development and several local charities including a 15+ year stint on the Durango Area Association of Realtors Community Services Committee. As a Main Avenue investor in Keller Williams Realty, with almost 70 employees, Sebastian is heavily involved in downtown Durango as well. In 2015, Keller Williams Realty was proudly nominated by the Durango Area Chamber of Commerce for its coveted Business of the Year Award. When James Allred first came to Durango as a boy to ski Purgatory in 1982, little did he realize that he would return 25 years later to realize a notable career and raise a family. James, his wife Stephanie and their daughters Annissa and Abigail are happy to live in such a vibrant community. 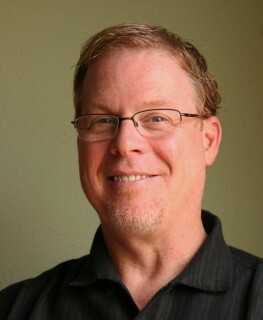 Originally from Flagstaff, Ariz., James is General Manager/Owner of Eolus Bar & Dining in the heart of Downtown Durango. He admits the desire to play (mainly ski) during the day, and work at night, led to a career in the restaurant industry. Stints in Jackson, Wyo., Boca Grande, Fla., Eugene, Ore., Salt Lake City, and Telluride convinced James that the place to live was southwest Colorado, and Durango was a perfect spot to reside and raise a family. 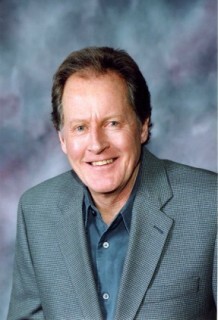 John Mahoney is an owner/partner of Coldwell Banker Heritage House Realtors. He began with the company in 1981 as a sales agent and first became the manager in 1989. He, together with his current business partner, Gina Piccoli, purchased into the company in 2001. Some years ago he retired from his day-to-day manager duties but remains an active partner in the business. John was born and raised in Perth, Australia. His first work experience was in a government department, working for the Western Australian Housing Commission. During the Vietnam era he was drafted into the Australian Army and spent 18 months overseas in the infantry in Borneo, Singapore and Malaysia. Following his army service he attended Curtin University in Perth and graduated with a bachelors degree in Social Science. Following graduation John began traveling and lived and worked in London and New York, then traveled throughout the States before returning to Perth and then later, moving to Durango in 1979. John has been very connected to the soccer community ever since moving to Durango. He was the first president of the Durango Soccer Association, which morphed into the now enormously successful DYSA. He also refereed local soccer for 25 years and is currently the play-by-play radio broadcaster for Fort Lewis men’s and women’s soccer games. Originally from Tilden, Nebraska, David moved to Durango in 2001, joining the Management Team at Office Depot as Internal Cash Control Auditor in 2002. Consistently taking on more responsibilities, he was promoted to Store Manager in 2007 and retained that position until fall of 2015. In 2013 David finished in the top 2.5% of North America Retail and received the prestigious Champions Circle award. Also a business owner in the BID, David fulfilled a passion and purchased Durango Rivertrippers & Adventure Tours in 2013. In 2015 he also purchased the Durango Discovery Map franchise. He is a Certified Raft Guide as well as a Certified Snowboard Instructor with PSIA. He secured two Associate degrees in Accounting and Business Management at Pueblo Community College here in Durango, and completed his Bachelor’s in Finance at Fort Lewis College in 2012. In addition to serving as the chair of the BID board, David also previously chaired BID’s Marketing Committee, DATO's Marketing Committee. He has served on the board of the Durango Chamber of Commerce’s Young Professionals of Durango (YPODs). He is actively involved in the community and sponsors the annual Animas River clean day each year. Tanya Clegg is the Director of Marketing and Communications for the Business Improvement District. Most recently Tanya served for four years as Underwriting Manager/Assistant Development Director for KSUT Public Radio. Over the years, her position also evolved into managing the station’s fundraisers, including the popular Annual Silent Auction and Party in the Park. As Underwriting Manager, she worked closely with some 300 businesses in the region and led KSUT to record underwriting sales each year. A graduate of Colorado State University with a BA in Speech Communications, Tanya was raised in Breckenridge, Colo. enjoying ski racing, horseback riding and the “mountain life.” After spending time in Fort Collins and Denver following her graduation from CSU, she moved to Durango in 2001 to reconnect with small-town life as well as family. She served as Volunteer Coordinator for the Adaptive Sports Association for nearly five years upon her arrival in town, and her subsequent positions, before joining KSUT, include Volunteer Events Coordinator for the Humane Society and, with San Juan BOCES, helping secure employment for students with disabilities. Tim Walsworth has served as the Executive Director for the Durango Business Improvement District since January 2013. Since he has been hired, BID has grown its budget, taken on the management of the San Juan Brewfest and Durango’s 4th of July celebration, relocated its office, added new programs, and improved its service to its constituents. 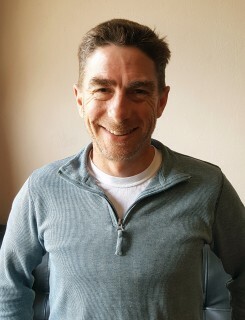 Prior to assuming the position of Executive Director of the Durango Business Improvement District in January 2013, Tim Walsworth served as the President and CEO for United Way of Southwest Colorado for 10 years. Additionally, he has more than 15 years of nonprofit management experience and worked for two leading United Way chapters prior to arriving in Southwest Colorado. A graduate of the University of Texas at Austin, with a Bachelor’s in Journalism with a focus on Public Relations, Tim began working for United Way/Capital Area in Austin in 1996. Within three years, he rose to the senior staff for the organization’s Community Investment department, responsible for investing United Way resources for the improvement of the overall health of the community. In Oct. 1999, Tim took on a consulting role with Pikes Peak United Way in Colorado Springs, but soon secured a permanent position as a lead fundraiser overseeing the fundraising activities for nearly 300 accounts. He supervised loaned employees (employees of other businesses that are loaned to United Way to augment campaign staff as part of the business’ support of the annual campaign) and other support staff. In 2001, he accepted the Director of Marketing and Communications position within the same United Way.